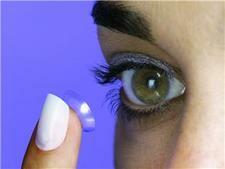 A contact lens company has set out its vision for 2009. Contact lens firm The Cooper Companies, Inc (Cooper) has released its results for 2008 and its expectations for 2009. Reuters explains that Cooper has two business units, CooperVision, Inc (CVI) and CooperSurgical, Inc (CSI). In a MarketWatch report from Edgar Online via Comtex, the company states that it is optimistic about CVI"s performance in the global contact lens market. CVI plans new products in the next two years which will incorporate the use of such substances as silicone hydrogel and the unveiling of a single use lens in Japan early next year. According to its release, it foresees growth in Asia and Europe as speciality contact lenses become more widely prescribed and also noted that myopia is increasing on a global scale. The teenage population, the age at which most people begin to wear contact lenses, in the US is also set to rise in the next 20 years. Reuters" company profile explains that CVI produces disposable, speciality and toric contact lenses.